Malcolm Thompson Pumps is proud to announce the launch of their new website at www.mtp.com.au. The new website showcases the full range of products that Malcolm Thompson Pumps has to offer in a convenient and user-friendly way. In addition to the extensive product information, which includes pump curves, technical specifications and dimensional drawings, the new website offers great pump tools including conversion tables, pumping formulas and a glossary of pump terms. The new comprehensive Malcolm Thompson Pumps website showcases the complete range of pumps in an easy-to-navigate way – by type, industry or brand – or by using the search function found on every page. The extensive range of brands includes Weir Specialty Pumps, Aquaplus, Grundfos, Varisco, Nossiter, Prominent and Flux among others. Quotes can be requested at the click of a button and a printed brochure is also just a click away. The site also provides a great range of pump tools including Pumping Equations, Conversion Tables and a Glossary of Terms. These are valuable tools that can be continually referred to by customers for a range of pumping needs. 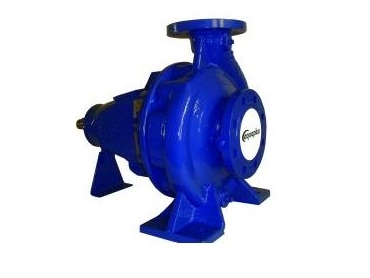 With over 40 years of pump industry expertise and experience, Malcolm Thompson Pumps offers pumps and service for a wide range of industries including agriculture, chemical, construction, food and beverage, hire, manufacturing, mining, oil and gas, power generation, pulp and paper as well as water and wastewater. Operating several branches nationwide, Malcolm Thompson Pumps distributes an extensive range of world-leading pump brands and offers complete service and repair facilities as well as engineering and design services to create tailored pump package system solutions.